Emerson R. Boyles was born in Chester Township, Michigan, on June 29, 1881. He attended rural district schools and was graduated from Charlotte High School were he was valedictorian of his class. He graduated from the University of Michigan Law School in 1903, and was admitted to the Bar at the age of 21. He practiced law in Charlotte and was elected Prosecuting Attorney to serve from 1912 until 1916. 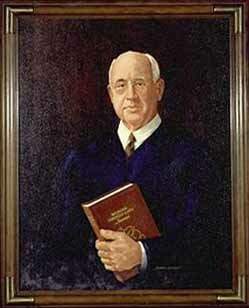 From 1921 until 1927, he was a Probate Judge for Eaton County. In 1927, Boyles resigned to become Deputy Attorney General with Attorney General William W. Potter. He served in that capacity for six years. During his time in that position, the Attorney General changed twice, but each man in the office saw the value in retaining Boyles. Boyles authored the Michigan Criminal Index, Probate Blanks, and Probate Manual. He was also a supervisor of Compiled Laws of 1929.